HSBC Premier celebrates the month of September by focusing on the fascinating Far East, coinciding with the exclusive HSBC Premier Golf tournament which heads back to the cool climes of Nuwaraeliya for the sixth season that is scheduled to take place on 14 and 15 September. With 100 HSBC Premier Customers who are all seasoned golfers expected to tee off at the picturesque Nuwaraeliya Golf Club and compete for the HSBC Premier Challenge Trophy, the tournament offers two overall category winners the chance to be part of the WGC – HSBC Champions tournament held at the Sheshan International Golf course in Shanghai from 25-28 October which attracts over 30 of the top 50 golfers in the world. This year, HSBC offers its Premier customers whether a Golfer or not, the opportunity to celebrate with great deals and experience the magnificent Far East throughout September. Customers can fly to Shanghai where the action happens or any destination around the world on Cathay Pacific and get an exclusive 20% off on bookings. The booking period is valid until 30 November and the travel period is upto February 2019. HSBC Premier Customers get to experience a touch of far eastern hospitality right here in Sri Lanka with 50% discounts on B/B at Shangri-La Golf Resort & Spa Hambantota until 30 September. Customers also get to savour ‘Cardholder Dines Free’ at the Long Feng – Cinnamon Lake and Toa at the Cinnamon Grand restaurants until 30 September. Furthermore, ahead of the main tournament on the 15 September, HSBC Premier Customers can participate in the customary pre-event by HSBC, ‘Swing under the stars’ scheduled to start at 6 p.m. on 14 September. The HSBC Premier Golfer who is able to reach nearest to the object that is lit up in the dark, will be the winner. This will no doubt be an exciting and memorable day for participants and a good warm up before the event on 15 September. 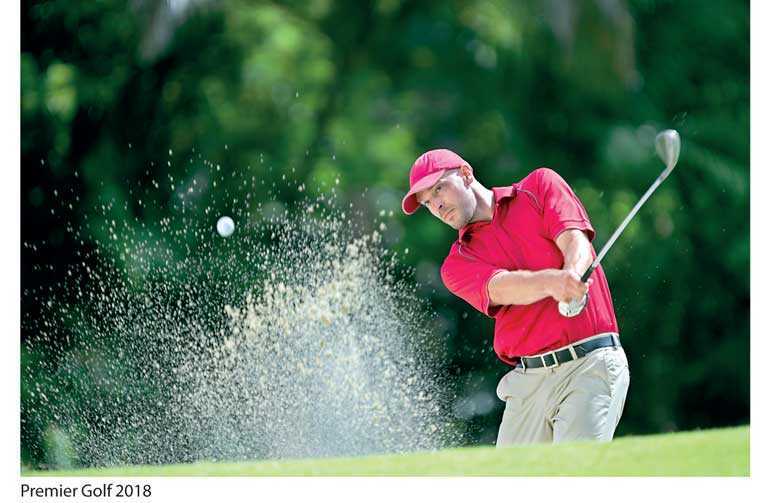 HSBC, the leading international bank that sponsors the game of Golf globally supports the “Open” Championship in UK, WGC HSBC Champions tournament in Shanghai, the HSBC Dubai Golf tournament and the HSBC Women’s Championship Golf tournament in Singapore. HSBC also supports the development of golf across the world including Sri Lanka, where the bank with Sri Lanka Golf initiated the countries inaugural golf grass root program that reached over 650 children during 2017/18. In addition, it supported advance coaching and sponsored the HSBC Junior International Golf championship which has witnessed the participation of the highest number of local junior golfers and international junior golfers from India, Pakistan, Bangladesh and Malaysia, where the overall winner was given an opportunity to witness The Open in 2019, scheduled to play at Royal Portrush, Northern Ireland.